Finally got around to starting this series with the Little General of late and within a few episodes, we were both hooks. The Americans is a fascinating paradox of spy-world meets Middle Class Americana, and I for one, am hooked. Set in the Reagan-era early-Eighties, the series is a look into the lives and actions of two “illegals”, KGB operatives who came to the United States years earlier to set up shop as “normal” Americans. They buy a suburban home, raise two kids, and run a small travel agency while simultaneously carrying out their spy tasks that epitomize the world behind the world that was the decades-long Cold War. Often times we will see the main characters attempting to escape the FBI, and minutes later, preparing to sit down to dinner with their two American-born children. Beyond the excellent acting, taut scripts, and overall concept, there is an undeniable sense of nostalgia that permeates the show. America was AMERICA, and it faced an enemy that though often cold and brutal, brought within that Superpower conflict a sense of order to the world that is now sorely lacking. It was a geopolitical shoving match where some semblance of decorum was maintained. It’s a far cry today’s appalling Muslim fanaticism that is devoid of rules and battle lines and desires to blow up average citizens without any semblance of morality or consideration for the innocent. And by the 3rd season, the writers of The Americans hint at that very thing in what is a clear nod to what is soon to be in store for both America and its then-adversary, the Soviet Union. If you haven’t yet given this series a chance, I urge you to do so. Here’s a clip depicting the internal chaos of two spy-parents trying to cope with a teenage daughter understandably seeking to form her own identity, knowing nothing of the dual world of her parents that made her existence possible in the first place. It is a scene without KGB vs FBI/CIA gunfire, but rather with a seething emotion that is every bit as engaging. Sooner or later, every parent finds themselves fighting wars of this kind. The wounds may not be so clearly visible, but they are no less painful as we become the very monster we once promised ourselves we never would. 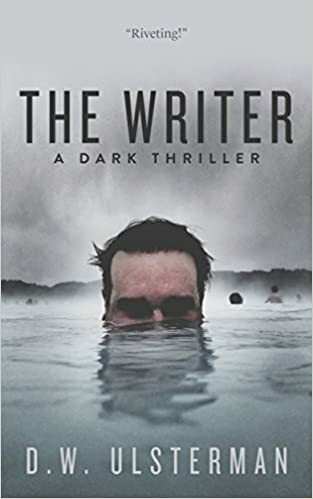 His newest novel, THE WRITER is available in e-book and paperback now!